A350 XWB News: The A380 flying testbed MSN001 will be used for A350-1000´s Trent XWB-97 evaluation. 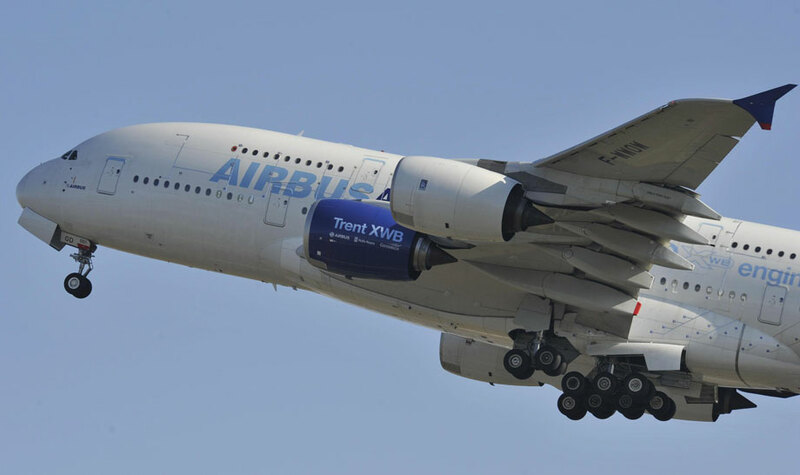 The A380 flying testbed MSN001 will be used for A350-1000´s Trent XWB-97 evaluation. 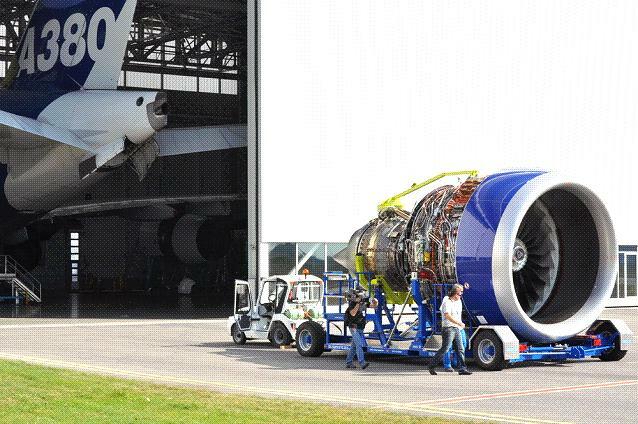 The 97,000-lb.-thrust engine due to fly after summer is the first of 2 units destined for initial evaluation flights on the Airbus A380 flying testbed MSN001, and will be used for evaluating engine operability, relights and handling. Beyond engine- specific testing, Airbus also intends to use the XWB-97 on the A380 for integrated nacelle tests. 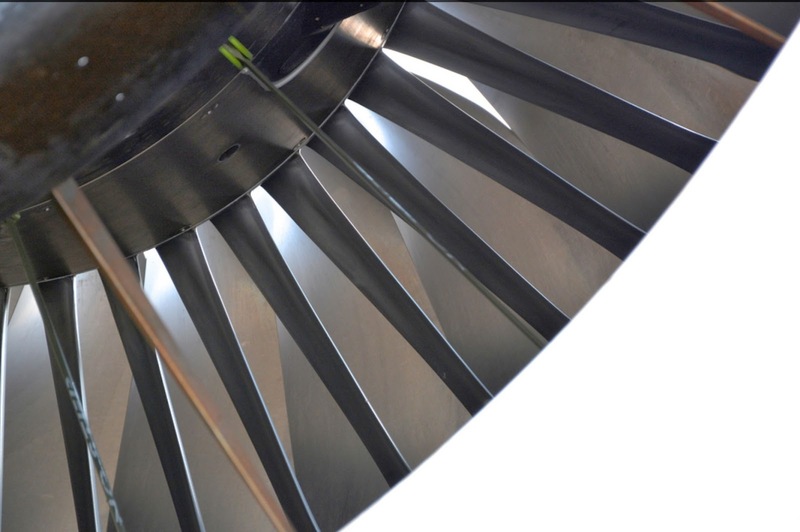 “It will do this to take credit for A350 certification and flights will run well into 2016, so it is not a short program,” said Simon Burr, Rolls-Royce’s COO for Civil Large Engines. The first A350-1000 is due to fly in mid-2016 and is scheduled to enter service in 2017, 2 years after the Trent XWB-84-powered A350-900. “On the -84 we did altitude work in North America (at the Arnold Engineering Development Center in Tennessee), whereas on the -97 we are using the A380 for flight-test data at altitude,” said Burr. “We’ve already proved the basics from the -84 and we can get useful data off that,” he added. Based on the article “Rolls-Royce Building First XWB-97 For Flight Tests” published in Aviation Week. is RR now using carbon blades for these engine? Not for 97k. Not sure why theres a picture of a GE Leap-X fan on this article?? Really good to hear Rolls Royce are on the ball with this engine. First time that I have heard about the A350-1000 production run.That means that the 777x9 will only be two years behind,so lets hope the "ramp up" doesn't take as long as the A350-900-still only three delivered this year! Any news on the A350-1100 or is that a well kept secret as too? 1) there is no A350-1100. 2) the 1st 779 will roll out of the FAL door in 2018, 1 year behind the A35J, not 2. 3) Airbus has bigger fish to fry than trying to develop a derivative of the A35J. Picture fixed. Thanks for your comments. The A350 ramp up is exactly where Airbus said it would be. Airbus quote their rate as when aircraft START production not delivered.